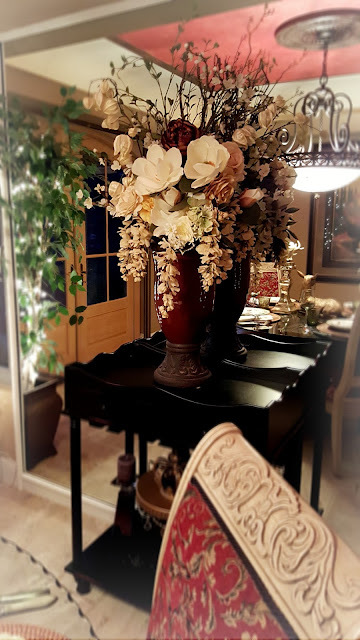 Home / tablescape. 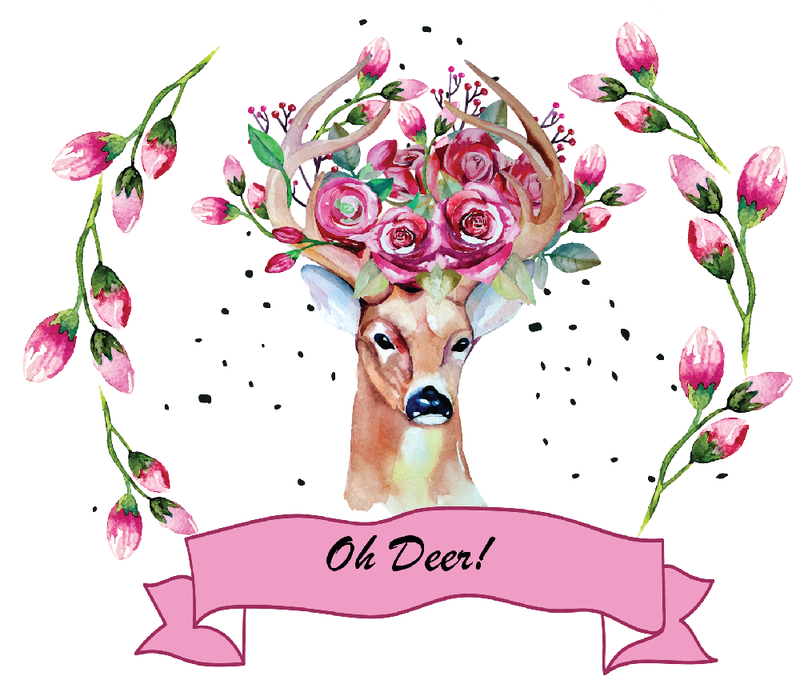 deer / Oh Deer! 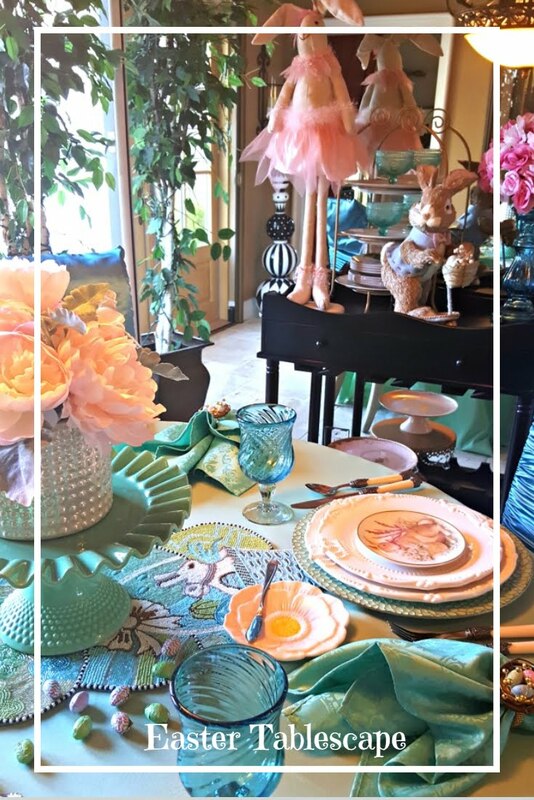 A sweet deer tablescape. We have lots of critters around here. Deer, turkeys, rabbits, coyotes, squirrels and skunks....LOL. 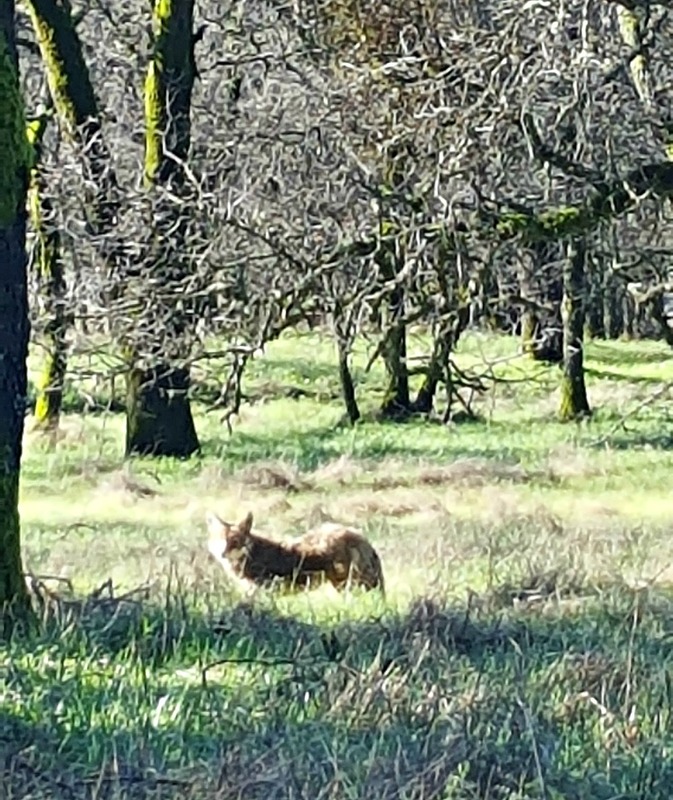 Below is a shot of a coyote on our property. We usually don't see them during the day. We are thankful our yard is fenced in and our small dogs are usually in the house. I think the face of a deer is so cute! 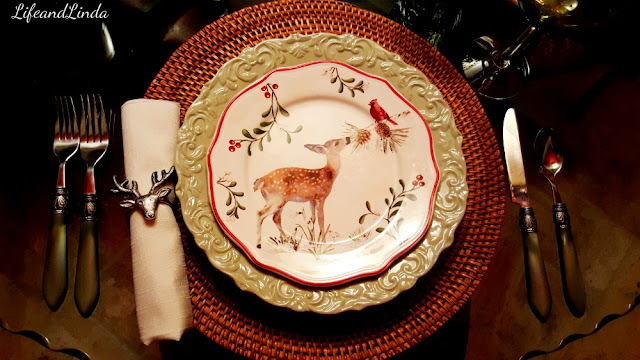 These sweet plates are by Better Home and Garden, Love the sweet deer smelling the pinecone. 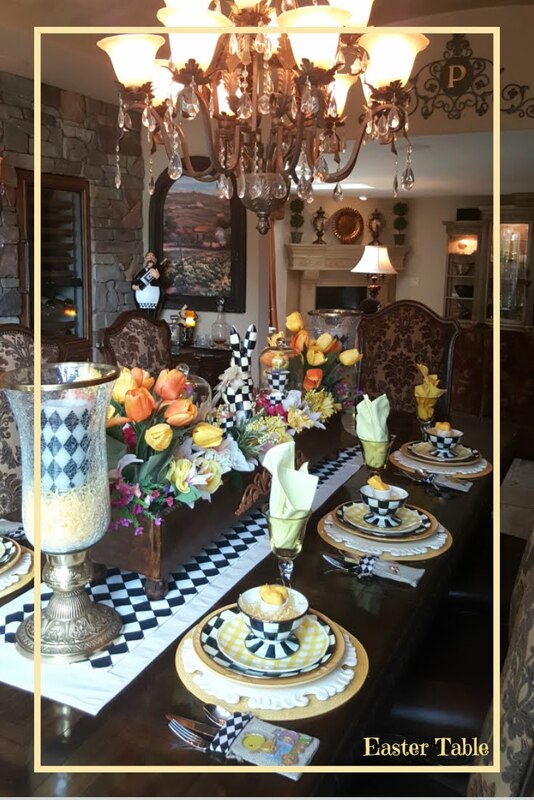 I matched the plates with my deer napkin rings. I found these plates At Walmart. 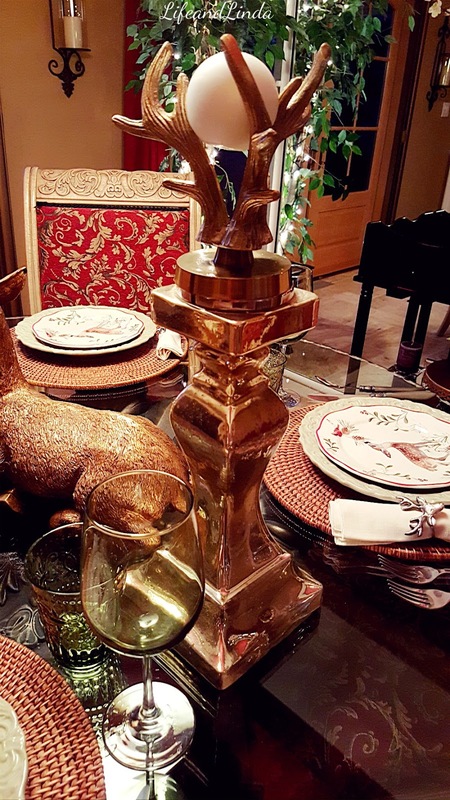 Two stag candle holders sit on top of our tall mercury glass candle holders with a round candle. A lovely floral spray sits on the dessert cart. Love the reflection from the mirror. I am very involved with my Mom and Dad. My hubby has been so wonderful, fixing things at their house. A plumbing leak, installing a new light bar in the bathroom and also setting up a new monitor for my Mom. I designed another blog for Lea @ Cici's Corner. Truly a lovely southern Gal with style. 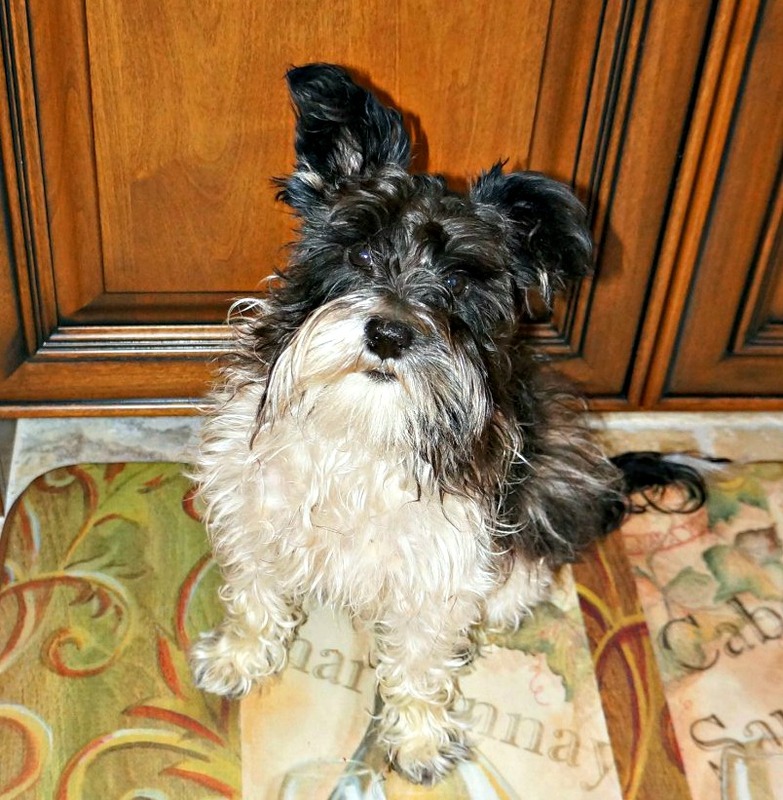 We have also been dealing with Dante, our toy Schnauzer. It seems he has epilepsy. Our vet put him on some meds to control his seizures. The deer plates are gorgeous. 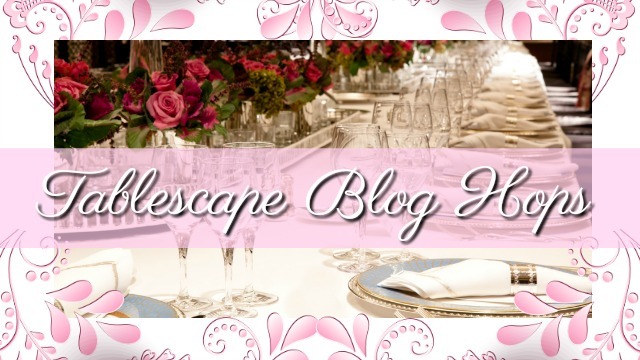 Love the theme for your table. That. Picture with the view out the door is perfect! They were just talking about Coyotes on the local news because a lot of people have been sighting them. Oh poor little Dante- I'm glad they have medication that can help. I'm sure your parents appreciate your help- it's good that you can help them. Poor puppy..I wonder if animals feel the same side effects as people..they are so complacent though..and I think their worry machine is less oiled..not their masters though where their pup's health is involved..you are taking care of everyone! Precious plates. We have coyotes that run around in the woods behind our house. 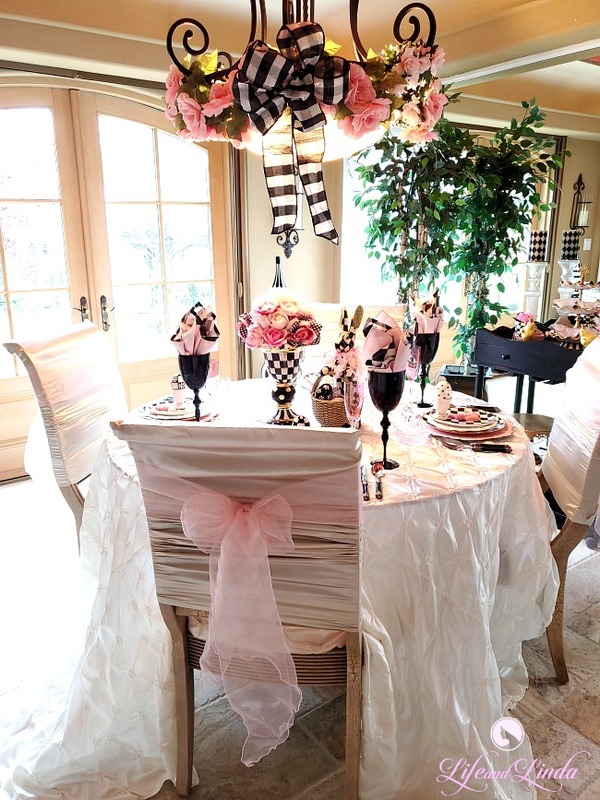 You always fix the most beautiful table, Linda, and those Wal Mart plates are so deer! You are so busy with your mom and dad. 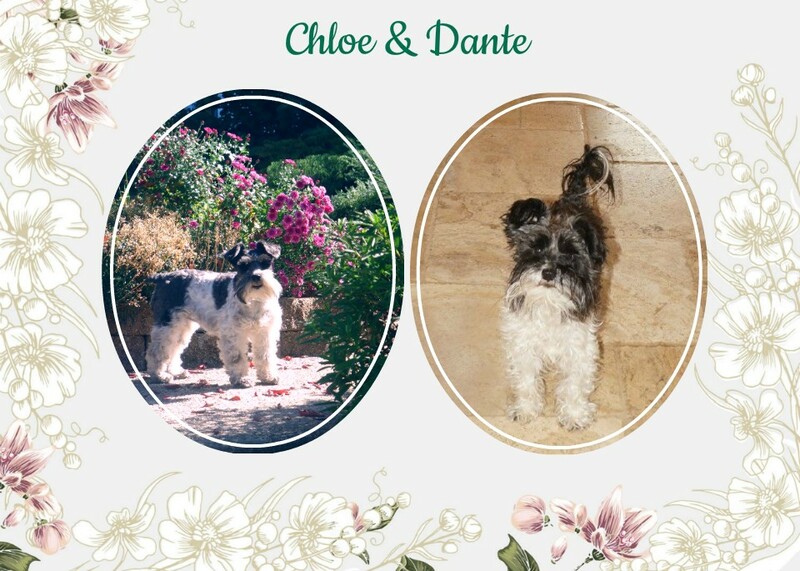 What a good daughter you are, and a good caregiver to Dante. 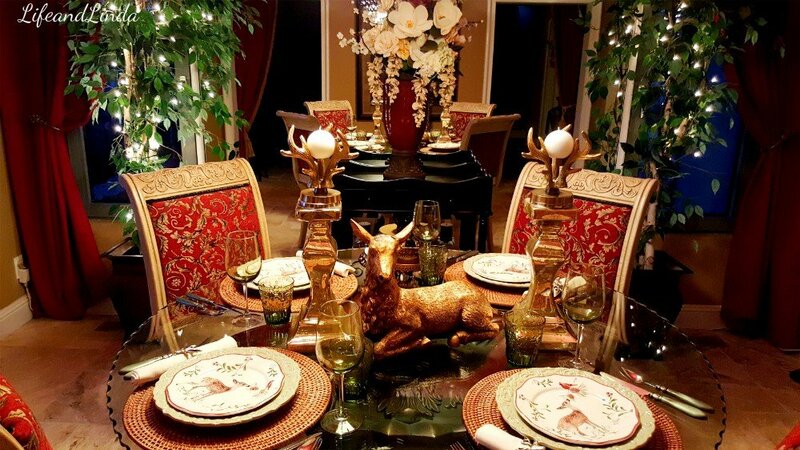 Linda, I love your table with your deer plates and deer theme...it is beautiful! We have deer, turkeys, and unfortunately coyotes that will visit our twenty acres! I hope the medicine helps Dante! Oh, this setting belongs here in our house and area. All the men here in NE Louisiana are big time deer hunters. We have deer and cayote across our pond. Bless your heart, I know all too well what it is to care for aging parents. My Mom died 8 years ago but I oversee the care of my Dad that lives in an assisted living facility. It can be so demanding. You are a busy woman for sure! Blessings! 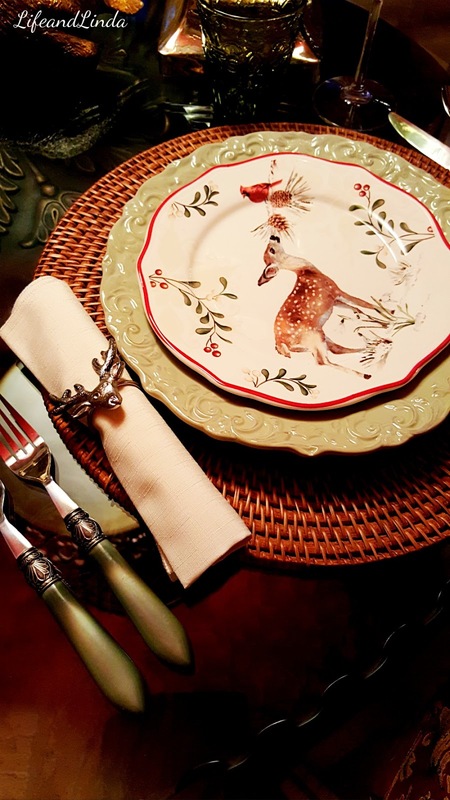 Your deer plates are very cute and sweet. You have all the accessories for your theme. Love the napkin rings and deer centerpiece. Sorry, your little dog has problems. Thinking of you as you care for your parents. Glad they are close by. 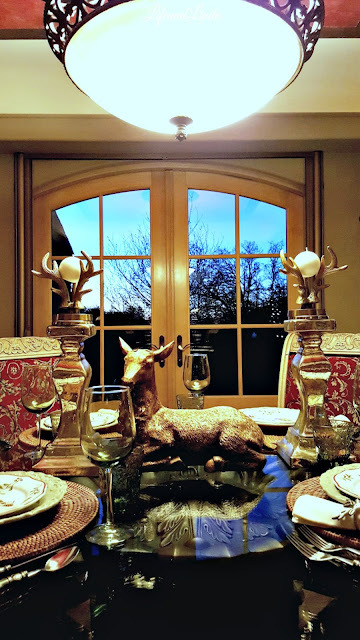 Your deer table is charming, Linda. Love those plates. How wonderful that you see deer romp around your neck of the woods. The deer is a very special animal, and whenever I come across one, I stop, look, listen, and gaze in wonder. 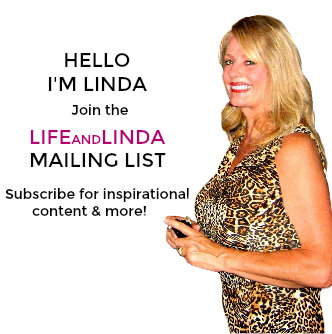 I hope you have many wonderful March days, Linda.